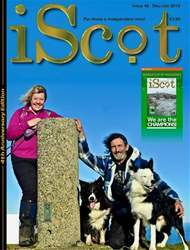 PLEASE ignore the headline photae of Me and Laoch doing oor Oscar winningtitanic pose…that’s jist Dad trying tae be funny. It wasn’t that type of Oscar, but the remnants of the hurricane type we encountered. The plan was well thought through and preparations carried out were second to none. 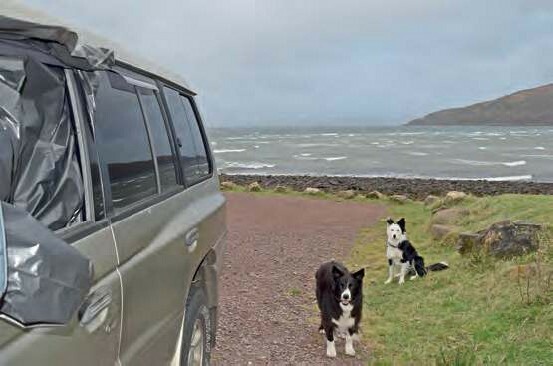 However, as regular readers ken fine, things rarely go smoothly for us, and the November trip to Applecross with the intentions of climbing from the Bealach na Ba was a tad ‘thwarted’ from the very start. The rucksack was packed with everything we needed, apart from wee gas cannisters for the camping stove, which for some reason couldn’t be obtained from all the usual outlets, so we had to just ill a big lask and hope that stayed at least lukewarm overnight for Dads morning coffee. Dad had removed the middle row of seats in the truck to allow a bed to be installed, and even managed to ix the heater in the Blazemobile so we would be cosy-toes sleeping out in whatever the elements threw at us.